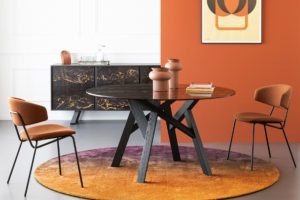 Calligaris, founded by Antonio Calligaris in 1923, was born under the sign of passion for wood. Calligaris is a modern company with five production plants and seven sales offices, growing constantly thanks to a strategy based on three main factors: the internationalization, the strategic orientation towards retail, supporting the markets that are ready and the opening of new point of sales, and, finally, the brand strategy in order to build an internationally recognizable image with an approach focused on the final consumer. 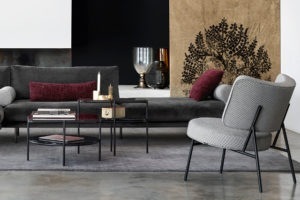 Nevertheless, for Calligaris everything is based on the product, which is founded on two essential elements: width of range and research of functionality. The introduction of novelties, both from the functional point of view, the innovative design and the assortment, has always characterized the company’s orientation from its origins and for all 95 years of activity. During the ’60s boom, in a market characterized by artisan workshops, he introduced the chair-mending machine marking a real revolution. In the ’70s the company started exporting its products and manufacturing tables. In the ’90s the company started distributing the Calligaris branded products abroad. Today Calligaris retail structure is present among 100 Countries all over the world.